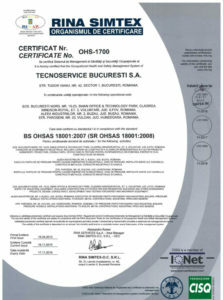 OHSAS 18001 is an internationally applied standard for occupational health and safety management systems. 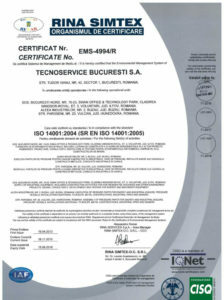 It exists to help all kinds of organizations put in place demonstrably sound occupational health and safety performance. 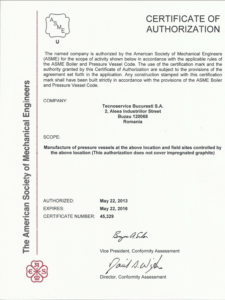 The ASME Boiler & Pressure Vessel Code is an American Society of Mechanical Engineers (ASME) standard that regulates the design and construction of boilers and pressure vessels. 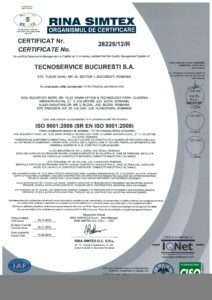 ASME works as an Accreditation Body and entitles independent third parties such as verification, testing and certification agencies to inspect and ensure compliance to the BPVC. 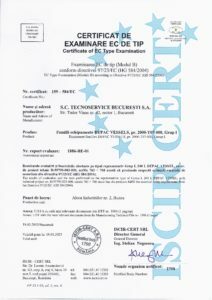 The legal framework established by the Pressure Equipment Directive (PED) aims to guarantee free movement of vessels, pressurised storage containers, heat exchangers, steam generators, boilers, industrial piping, safety devices and pressure accessories in the internal EU market while ensuring a high level of safety. 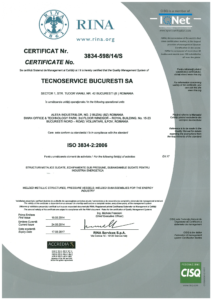 ISO 3834 provides criteria to be taken into account for the selection of the appropriate level of quality requirements for fusion welding of metallic materials, among the three levels specified in ISO 3834-2:2005 ISO 3834-3:2005 and ISO 3834-4:2005. It applies to manufacturing, both in workshops and at field installation sites. 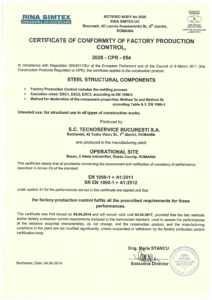 The EN 1090 standards are European standards that regulate the fabrication and assembly of steel and aluminium structures and are recognized by the Construction Products Regulation. 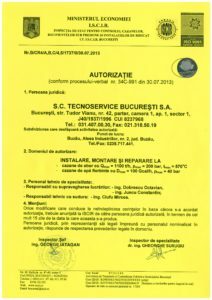 ISCIR is the Romanian state body responsible for ensuring standards compliance and safe performance of pressure installations, pipes and vessels, lifting equipment and fuel-consuming devices.